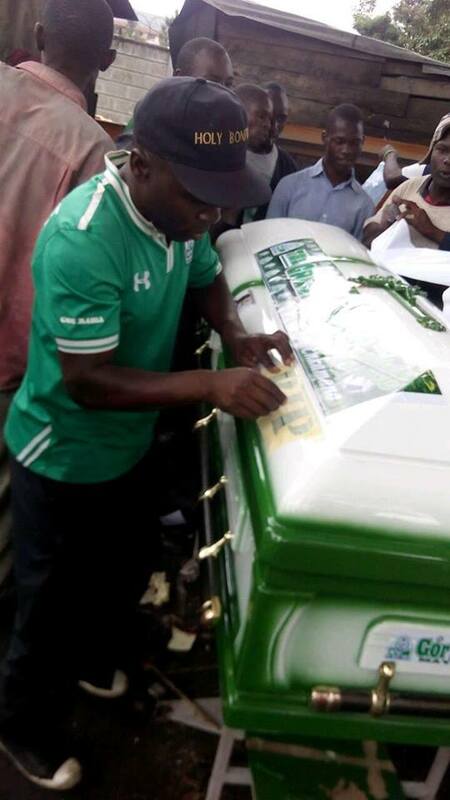 Four Gor Mahia fans lost their lives in a grisly road accident along Nairobi-Mombasa Highway. The fans were traveling to Machakos to watch a match between K’Ogallo and Thika United at the Kenyatta stadium. The Sunday April 22nd accident happened when a minibus driver lost control and crashed onto another vehicle. The four were thrown off the minibus they were perched on top. Gor and AFC Leopards fans have a habit of riding on top of buses when they travel to watch matches. Perhaps the story would have been different if the fans weren’t seated on top of the minibus. 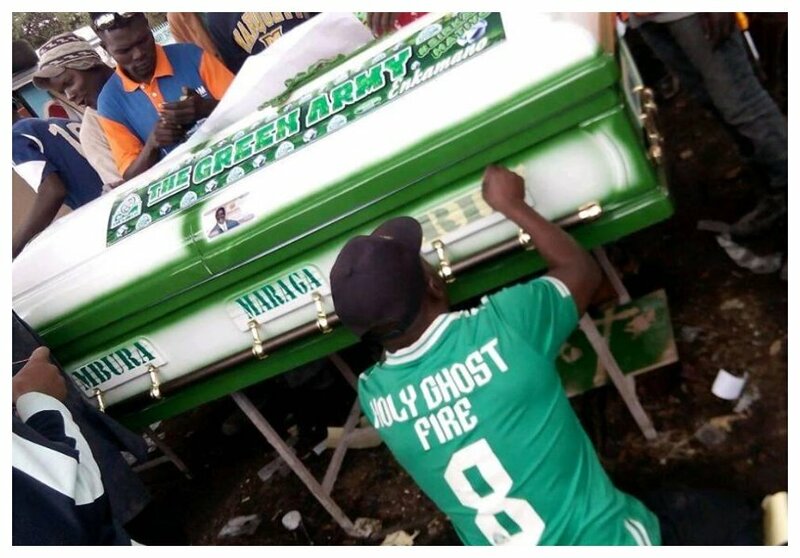 The bodies of the four Gor Mahia fans who died in the grisly accident will be released from Chiromo mortuary today Thursday May 10th. 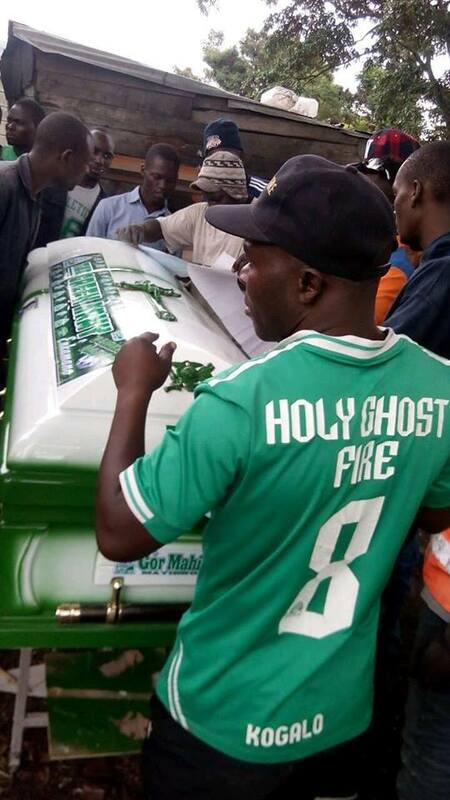 Meanwhile K’Ogallo fans pimped four caskets that will carry the remains of the fallen aficionados. 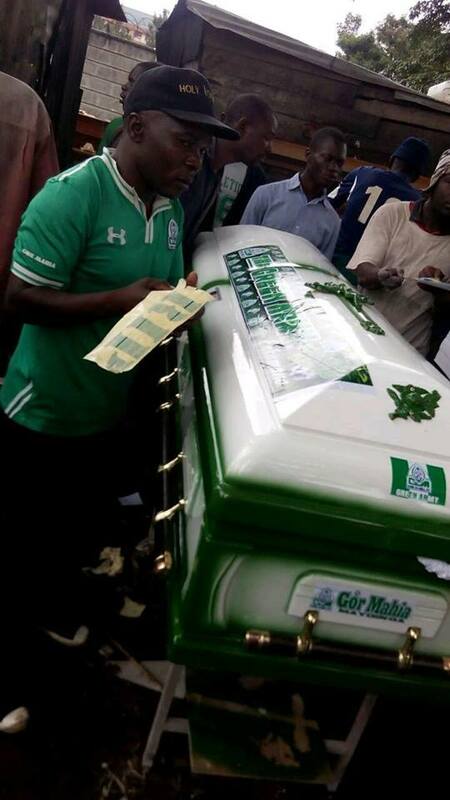 The coffins were painted in green and white colors – Gor’s official colors.